Since I can’t even manage to sing Happy Birthday in tune, we can celebrate with Symphony of Science’s Greatest Show on Earth instead. If you’re looking for ways to celebrate this weekend the Center of Inquiry has some fun ideas to play with. Or if he’s one of those famous names you keep meaning to get around to reading (I’ve got a lot of those myself) Darwin online is digital source of most of his major writings and personal papers so they’ll be handy. Illustrations included, that’s always important. Many of these (not all the papers) are also available on Project Gutenberg. Thomas Henry Huxley, Darwin’s Bulldog (and I’m inclined to say a better writer) also has a fine showing there. I also found out you can download origin of species as an audiobook for free from librivox! I wasn’t even aware there was a site for public domain audiobooks. Good times for car trips. Happy hunting! The first is a President’s Day bangle bracelet I made awhile back when I was taking a jewelry making class and learning how to solder. Being queen of trying to practice with cheap materials that might look interesting nevertheless, I decided to use pennies! 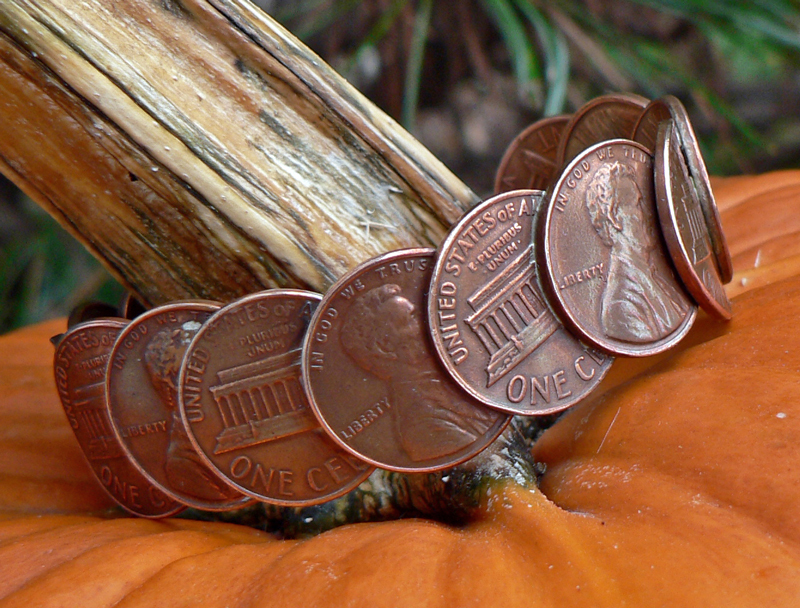 Not the best idea, since solder stands out terribly against copper, and the little lines in the Lincoln Memorial I swear were designed to funnel solder out from where it was needed. Overall I think it turned out well, and it certainly gave me the soldering practice I needed. 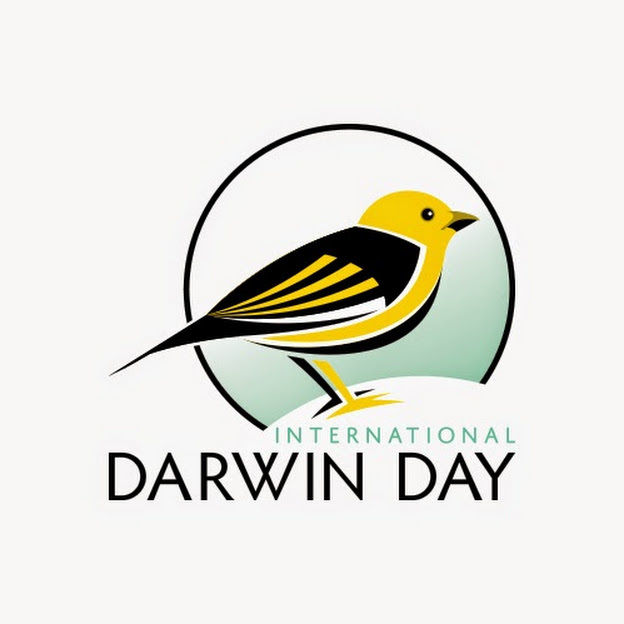 The other big February holiday (well, to me, since google never seems fit to do anything for it when they celebrate waaay more esoteric figures and their birthdays…) is Darwin Day. Charles Darwin was born the same day (February 12, 1809) as Abraham Lincoln. 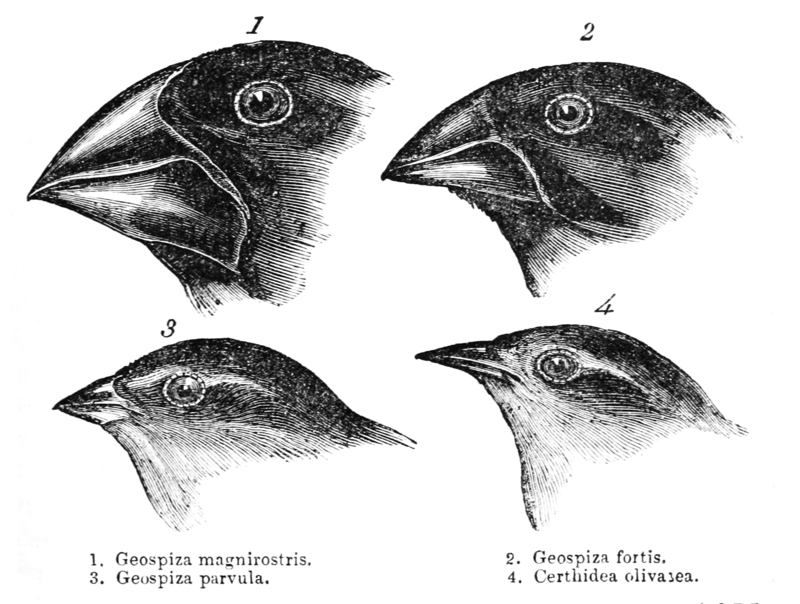 There’s this famous image from one of Darwin’s notebooks (B), a little scribble that has become somewhat iconic. It’s a quick doodle of the idea of a tree of life with “I think” written in the corner. I tried to work that image into miniature collages of vaguely contemporary patterns (William Morris designs, an English compass rose, etc.) that I’d saved from museum catalogs and the such. 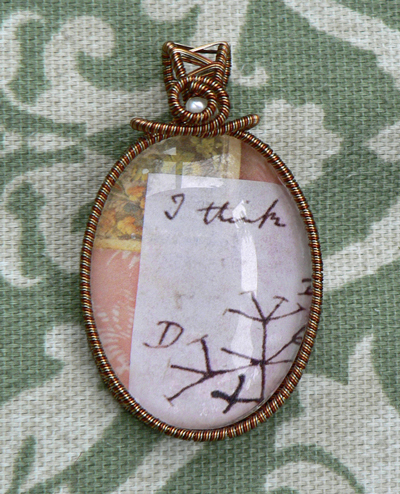 Then I sealed the collages behind glass and turned them into pendants. 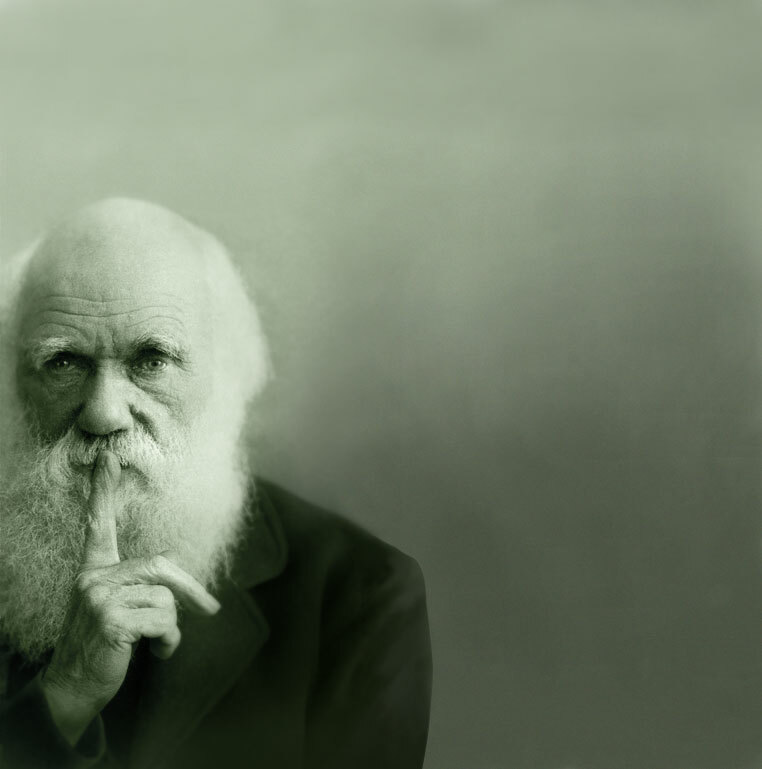 Happy Darwin Day! And Happy Birthday to Lincoln too! Three cheers for the birthday boys. Huzzah! Huzzah! Huzzah! Fossil –noun 1. any remains, impression, or trace of a living thing of a former geologic age, as a skeleton, footprint, etc. I decided I’d use the Darwin Day theme to feature some of my favorite fossil inspired pieces. Obviously, I like playing with fossils myself as well as oggling them. Orthoceras and ammonites are my main choices, simply because they’re relatively plentiful and yet interesting. Both are names given to multiple related species of long extinct cephalopods. Various species of ammonites meandered the seas between 300 and 65 million years ago. That’ s a lot of time to leave traces behind! Orthoceras like the one in KubusRubus’s Future pendant are even older than ammonites, they date from around 450 million years ago. For further fossil hunting inspiration, check out Tracy Chevalier’s novel Remarkable Creatures, which is loosely based on one of the first fossil hunters. And it has ammonites, yay ammonites! And check out the Guardian’s article on Barbara Hastings. Starting the Darwin Day celebration a little early, and what’s a celebration without a toast? So, though it’s not the best take on the theory, Langdon Smith’s Evolution. I always found this poem oddly charming. And when searching for it online in its entirety (yes, I’m a lazy typist, guilty) I stumbled upon a charming review of it at the Rough Guide to Evolution blog. Of course, for a more cynical and possibly mean spirited moment of fun, you can always take a moment to celebrate Darwin Day by reading through the Darwin Awards and indulge in a dose or two of schadenfreude. Though, like most biopics, it was not particularly accurate, I found Creation a worthwhile watch. Besides finding the topic interesting, it had an excellent cast and good soundtrack. Unfortunately I had to get it though netflix once it was released on DVD, since no theaters around here would show it. Sir David Attenborough gives a quick overview of the evolution of life. Nowhere to go today, still snowing quite heavily outside. So a quick warning-only one month to plan your Darwin Day party! February 12 was Darwin’s birthday (And Lincoln’s as well, though at least he gets President’s Day) and is considered a good date for a global celebration of science and reason. I’ve always found it a more low key, less exclusive, celebration than Valentine’s Day. 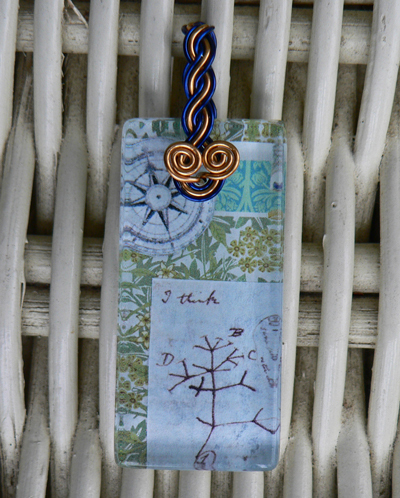 Some fun pieces on etsy, just in case you celebrate Darwin Day with gift exchanges! Or have a loved one with a quirky sense of humor and want a not-to-be-forgotten Valentine’s gift.